If you’re planning on flying off to foreign lands unknown for your next Luxury Vacation Experience, that might not be a great idea. Because if it’s a luxurious, fancy vacation you’re looking for, we have some incredible travel experiences awaiting you in our own Incredible India. 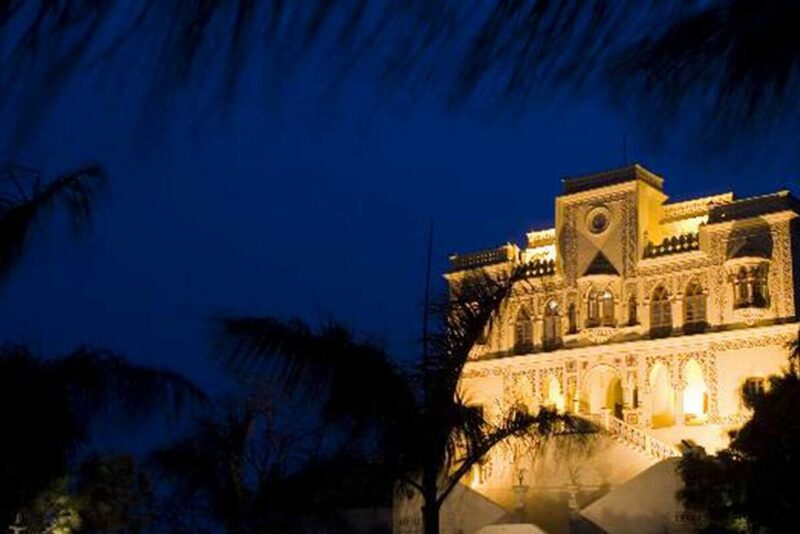 From a 17th century, Portuguese fortress in Goa to a yoga retreat tailor-made for a rejuvenating experience in the Himalayas, every kind of decadent experience that would make you travel to a foreign land are all found right here. Let’s take a look. 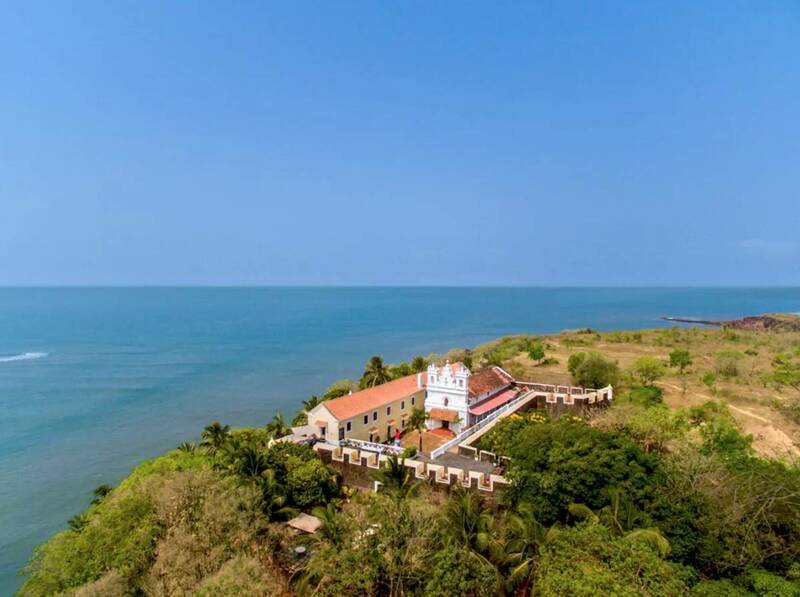 Formerly a military base, this 16th century Portuguese fortress in Goa has an unmatched 360–degree view of the Arabian Sea. This amazing fort at the northern tip of Goa houses contemporary interiors, luxuriously designed suites, and private balcony that opens to refreshing views of the sea. An offbeat, yet luxury-filled experience. Visit Fort Tiracol during Christmas & Easter when the church housed inside the fort holds a mass for the folks. The royals of Rajasthan know luxury like no one else. In 1890, Marwar Thakur Chhatra Singh of Nimaj constructed a dam on a stream running through his estate, and over time the dam has turned into a lush green oasis. 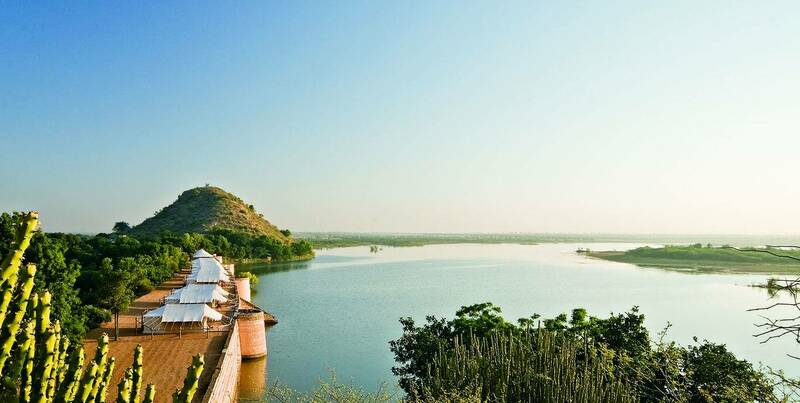 The Camp Chhatra Sagar has since been converted into a glamping site by the heir-descendants of Thakur Singh. They come with luxury tents which have a secluded sit-out area facing the waterside bound to make this the luxury vacation experience of your dreams. Guided village tours and Bird-watching that can be arranged for you by the hotel staff. Floating pleasure is synonymous with this Palace on Lake Pichola. 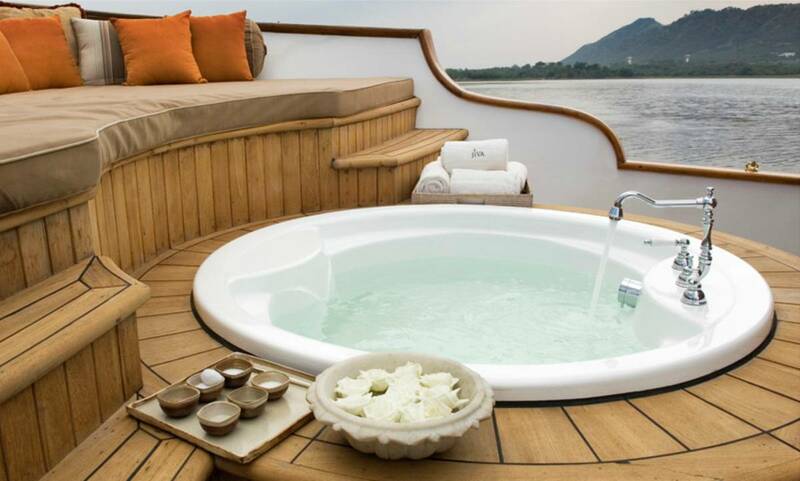 Jiva Spa Boat at Taj Lake Palace in Udaipur provides a twist to a classic spa experience. You’re taken on a boat specially designed to welcome you aboard the indulgence in various restorative treatments provided by skilled therapists. Relax on the boat deck while enjoying the views of the crystal clear blue waters. Must try the signature wellness treatments exclusively created by Jiva, borrowed from the finest royal traditions of Rajasthan. Wanna know what is Goa’s best secret? It’s Elsewhere. 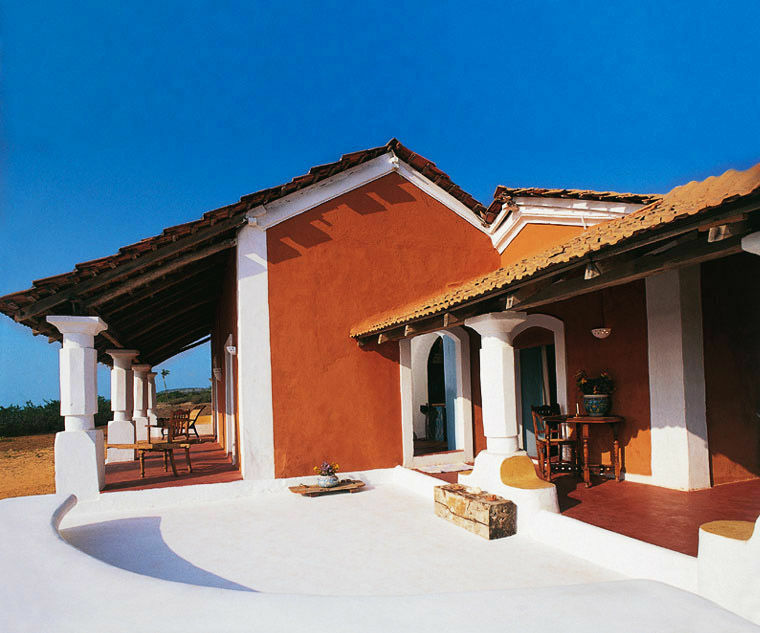 Tucked away at a secret, secluded location in Morjim, the beach resort is revealed to you only after confirmed booking! Elsewhere offers two kinds of luxury stay options: The Beach Houses and the Otter Creek Tents. All the luxury stays are separated from the mainland by a small creek. Especially for romantic couples on a holiday, this secret location promises a luxury vacation experience filled with privacy and decadence. Bird watching & enjoying the ever-changing sunset at the Beach Houses and Otter’s Creek Tent. The perfect blend of nature and a blissful luxury vacation experience is Ananda, an award-winning spa destination in the Himalayas. One of the best spa resorts in India, Ananda is placed on a sprawling 100 acre Maharaja Palace Estate in Uttarakhand’s Tehri, surrounded on all sides by native forests and overlooking the Ganges river valley. 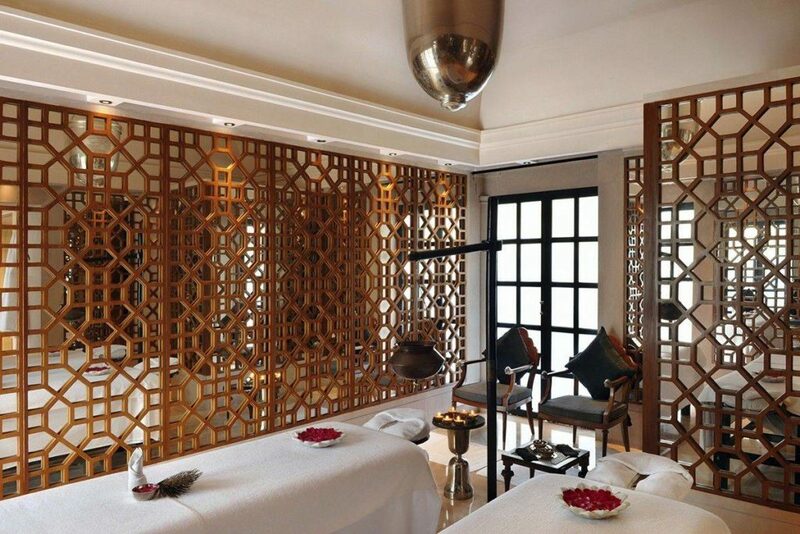 The spa treatments and wellness therapies here include detox, de-stress, fitness, weight loss and total rejuvenation. Select a unique dining experience custom-designed by the hotel staff at a private section within the palace. Palatial suites at Amanbagh Palace certainly have the charm of the Mughal Era. Landscaped gardens, Private courtyards, and elegant suites ensure that the resort will deliver you an awe-inspiring experience. If you choose Amanbagh for a wellness retreat, Ayurvedic experts in-house will guide you through an extensive 3-week program designed for absolute rejuvenation. A day tour to the site of the infamous 17th-century township of Bhangarh, one of the most prolific haunted sites in India. The ultimate Indian travel experience in the form of a luxury train that travels from Mumbai to Jaipur – The Maharaja Express. It’s the result of a partnership between IRCTC and Cox & Kings. The package on offer is an 8 day/7 night royal journey aboard arguably one of the most expensive luxury trains in India that is equipped with 5-star amenities including luxury suites, fine dining, onboard lounge and bar and much much more. An evening’s stop at the Mehrangarh Fort in Jodhpur as you cross the royal state of Rajasthan on the Maharaja Express. 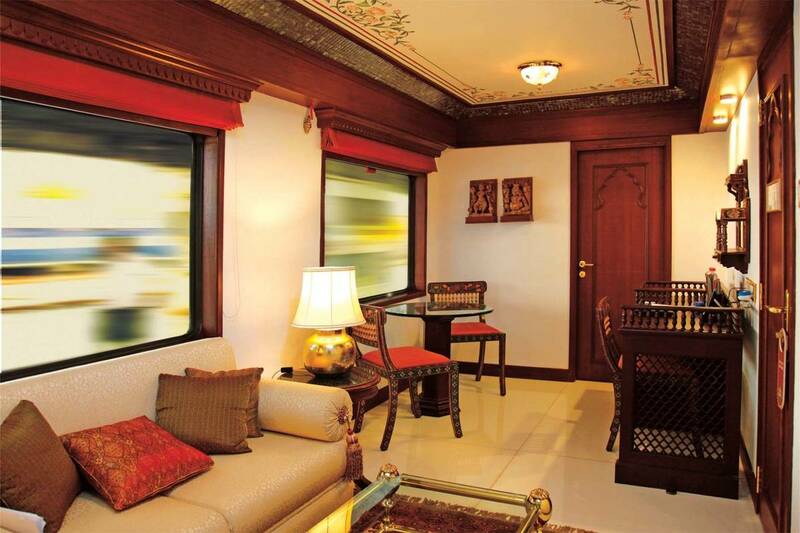 A heritage luxury tour aboard a train around India is The Deccan Odyssey. Comprising of 21 coaches, 11 of them accommodate the guests, while the rest of the coaches house spa, fine dining, massage and other facilities. Each coach is individually designed and inspired by the many royal time periods in Maharashtra’s history. The Jewel Of The Deccan is the best journey out of the 6 offered. Starts at Mumbai and takes you to Bijapur, Pattadakal & Aihole, Hampi, Hyderabad, Ajanta & Ellora caves and back. This stunning resort, an hour away from Srinagar, offers a 360–degree view of the Afarwat Peak and the majestic Pir Panjal ranges. The highlight of your stay at Khyber Himalayan Resort & Spa most definitely will be the wellness treatment at The Spa by L’occitane. The spa therapies combined with being in the midst of pristine nature & the Himalayas will ensure that you are de-stressed and rejuvenated. The Khyber Himalayan Resort is also known for the skiing on the adjacent snow-covered slopes. The Aromachologie Massage is extremely revitalising and should be at the top of your list. This final luxury vacation experience on our list comes with its ample share of adventure. Sky Waltz takes you thousands of feet in the air on a hot air balloon to give you the very best of Rajasthan. Sky waltz operates out of most major Rajasthani cities namely Udaipur, Neemrana, Pushkar, and others. 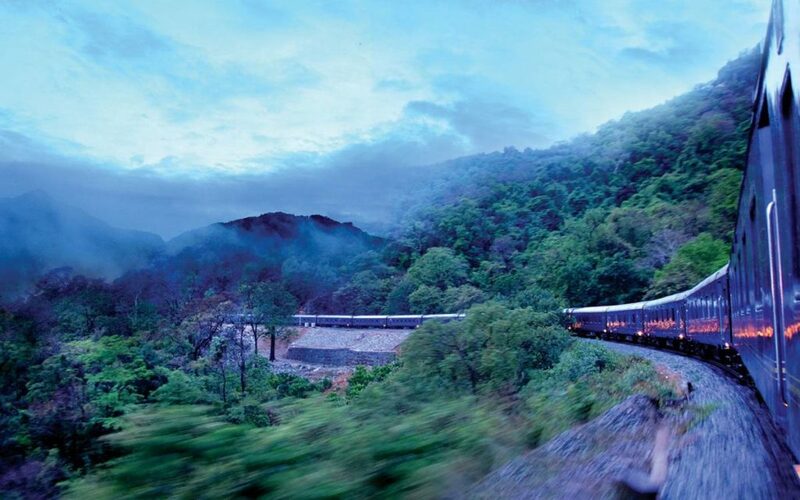 From leisure and wellness retreats to holidaying on Indian trains, the Indian Luxury Adventure can take you anywhere. What would be your ideal luxury vacation experience in India? Take the poll and also let us know in the comment section below!